8:19:58: Using Normal encoding profile. INFO:  Audio stream length 8066304 bytes. INFO:  MUX STATUS: no under-runs detected. 23:14:51: Using Normal encoding profile. FFmpeg version SVN-r19276, Copyright (c) 2000-2009 Fabrice Bellard, et al. [ac3 @ 0x301d270]No channel layout specified. The encoder will guess the layout, but it might be incorrect. INFO:  File C:\Users\Simba\Documents\Emp.0.m2v looks like an MPEG Video stream. INFO:  File C:\Users\Simba\Documents\Emp.0.ac3 looks like an AC3 Audio stream. INFO:  Video stream 0: profile 8 selected – ignoring non-standard options! INFO:  Multiplexing video program stream! INFO:  Multiplex completion at SCR=38896786. INFO:  Audio stream length 10371840 bytes. 23:19:56 ImgBurn Version 2.4.4.0 started! ＞23:19:56 ImgBurn Version 2.4.4.0 started! I 14:48:05 ImgBurn Version 2.5.5.0 started! I 14:48:05 Found 1 DVD±RW/RAM! W 14:48:10 User accepted disc space warning and is attempting to underburn! I 14:48:10 Source File Application Identifier: IMGBURN V2.5.5.0 – THE ULTIMATE IMAGE BURNER! W 14:48:12 Optimal layer break position is such that L0 2 Gb) intermediary files that aborted the combining stage. – Fixed: Possible crash when clicking Project Settings button. – Fixed: When there were multiple audio or video streams in a source file, encoding would fail. – Added: Commandline switches to specify data path and temp path. -datapath and -temppath respectively. – Added: Option to add borders to the video to correct for TV overscan. – Added: Half-D1 resolution support. 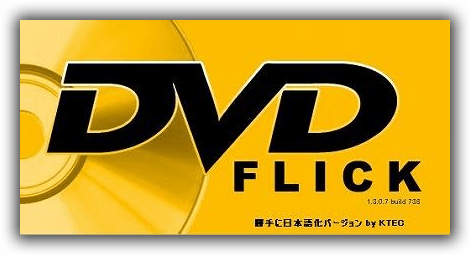 – Changed: Force nospanscan option for widescreen videos in dvdauthor. – Changed: Updated ImgBurn to 2.3.0.0. – Changed: Added fool-proofing to user input. – Changed: Tweaked video encoding settings and bitrate constraints. B-frames are now also generated, as well as more sensitive scene change detection. – Changed: TCMPlex is now used to multiplex instead of mplex. – Changed: Updated to dvdauthor-0.6.14. – Changed: Destination folder only has it’s containing files deleted, not the entire folder anymore. – Fixed: Installation issue under Windows Vista. – Fixed: Burn to disc checkbox was not saved as default. – Fixed: An audio track with multiple audio sources would not combine into one and abort the encoding process. – Fixed: MPEG2 video streams that were copied over would abort the encoding process because of a missing space character. – Fixed: Custom video bitrate would still stay within it’s predefined boundaries despite it being lower or higher. – Fixed: Locale issues arising from period or comma decimal indicators. – Fixed: Crash when an AVI with an AC3\MP3 audio data chunk of 0 bytes was added. – Fixed: Sudden close when loading a possibly corrupt AVI file. – Fixed: Added proper XML header tag with encoding to dvdauthor and spumux XML files. Fixes usage of foreign characters in path names. – Fixed: Crash when adding a new audiotrack to a title. – Added: Custom video bitrate option. – Added: Option to manually set a subtitle’s framerate, so that it will get converted to the movie’s framerate. – Added: Warning to prevent graphical subtitle files from being loaded. – Added: Drag and drop support for video sources, audio tracks and subtitle files to titles. – Added: Minimize to tray button in the progress dialog. – Added: Option to set encoding process priority. – Added: Option to save a subtitle’s settings as default. – Added: Options for more audio encoding control. – Fixed: Some video’s aspect ratios were not properly detected as 2.35:1. – Fixed: Bug that prevented subtitles from being muxed. 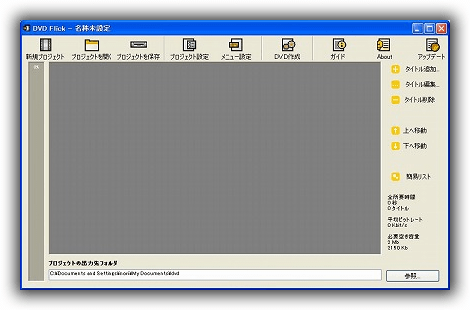 – Changed: Rewrote DVD recorder detection. It should detect all SCSI3-capable recorder drives now. – Changed: Tweaked video encoding options a bit more. 21:10:23 ImgBurn Version 2.5.5.0 started! 22:40:04 ImgBurn Version 2.5.5.0 started! 17:37:14: Using Best encoding profile. INFO:  Audio stream length 39424 bytes. INFO:  Audio stream length 74794752 bytes. – The biggest subtitle box had 364 bytes.